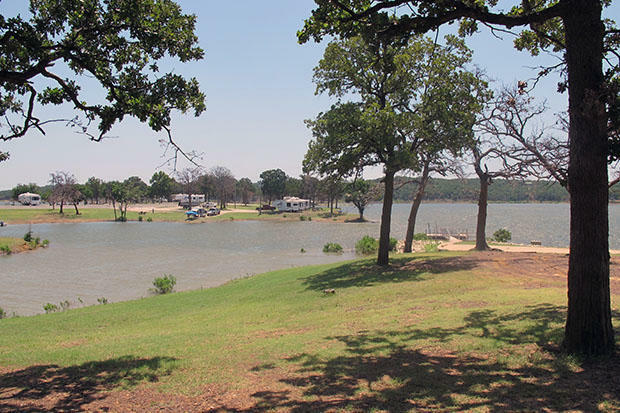 Even on a Tuesday, campers dot the shore at Lake Texoma State Park and vacationers fire up their bass boats and jet skis. The park is bustling. But go a couple of miles west, to the small town of Kingston, Oklahoma, and residents like Sheldon Stauffer will tell you things aren’t like they used to be. It was an experiment in privatization. Texoma State Park was prime real estate on this large, beautiful lake near the midpoint between between Dallas and Oklahoma City. In exchange for selling a big chunk of the park, with its outdated lodge and millions of dollars in maintenance backlogs, the state got nearly $15 million. Also, Pointe Vista promised to build a lakeside paradise of hotels, condos and restaurants. The case was settled in May. 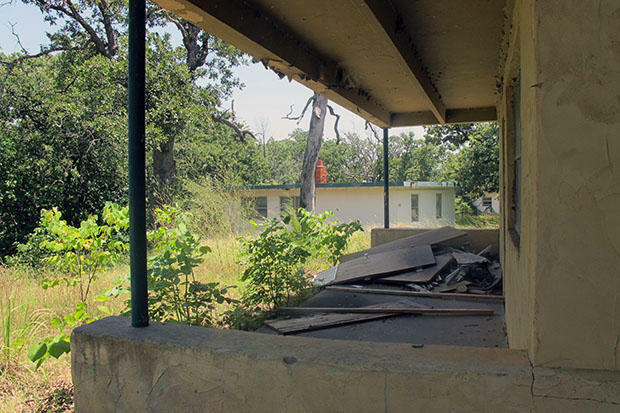 The state agreed to let Pointe Vista keep all the land it originally bought, except for 50 acres, which the state is buying back for about $4 million with the idea of selling it to a third party that will put a hotel there, according to The Oklahoman. The original deal required Pointe Vista to develop certain projects on established deadlines, but the new settlement doesn’t put any restrictions on what the company can do with the land, even selling it. “There’s something wrong with that picture,” Steele says. “There’s a skunk in the woodpile somewhere. The known details about the settlement come from a September 2015 press release from Governor Mary Fallin’s office. StateImpact emailed Fallin and the Commissioners of the Land Office to find out why they agreed to the deal. In an email, Fallin’s office said the state’s goal is still to bring beneficial development to the area’s economy. Brent Gooden, with the public relations firm that represents Pointe Vista, said in an email that he’s pleased with the settlement and the company can now focus on future development opportunities, though there aren’t any specific plans right now.